Anthony Whishaw RA is an English artist and member of the Royal Academy. He claims no association with any particular art movement, stating instead that ‘each painting and work on paper makes its own separate demands’. Anthony Whishaw studied at Chelsea School of Art from 1948 to 1952 (awarded NDD) and the Royal College of Art, London from 1952 to 1955, when he was awarded the ARCA (first class hons), the RCA Travelling Scholarship, an Abbey Minor Scholarship and a Spanish Government Scholarship. His work deals with explorations of memory and experience. On the edge of representation, varying in intent, scale and depiction, it seeks to reconcile illusion and allusion, the abstract and the figurative, past and present pictorial languages to create unforeseen visual experiences. His first solo show was held at the Libreria Abril, Madrid in 1956. Subsequently, he had regular exhibitions at Roland, Browse and Delbanco, London, throughout the 1960s and went on to have numerous solo shows throughout the UK at venues including the ICA, London (1971), the Oxford Gallery, Oxford (1978) and Kettle’s Yard, Cambridge (1982). He also exhibited in many key group exhibitions from 1952, and has participated regularly in the Whitechapel Open, the Hayward Annual, and the John Moores Painting Prize. 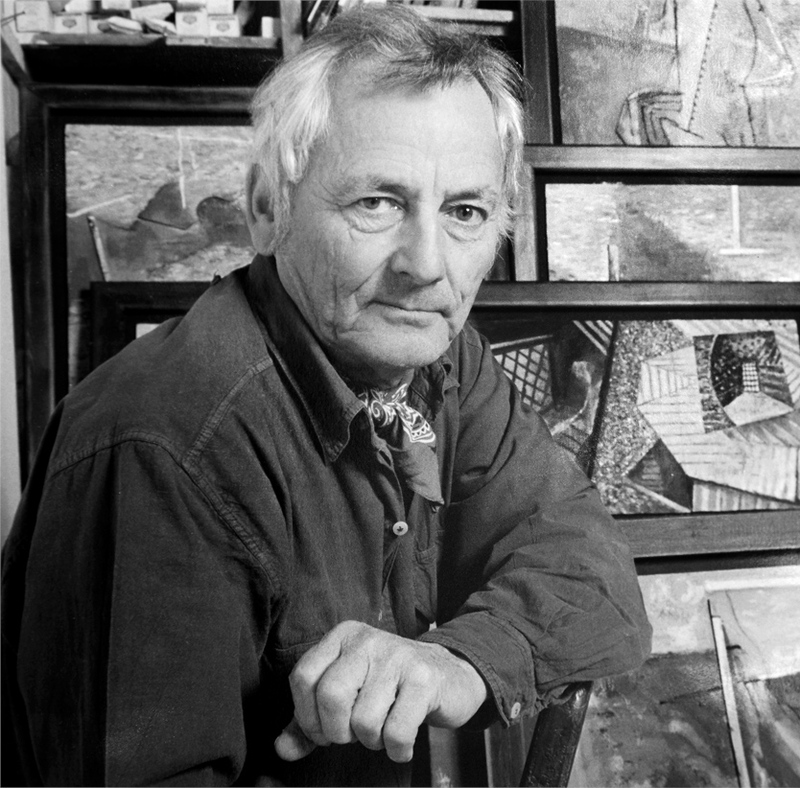 He has many awards to his name, including the RCA Drawing Prize (1954), Perth International Drawing Biennale Prize (1973), South East Arts Association Painting Prize (1975), Arts Council of Great Britain Award (1978), Greater London Council Painting Prize (1981), Abbey Premier Scholarship (1982), John Moores Minor Painting Prize (1982), Lorne Scholarship (1982-3), Joint winner Hunting Group National Art Competition (1986), and Korn Ferry Carre Oban International Picture of the Year in 1996. He was elected a Member of The London Group in 1979, an Associate Royal Academician in 1980, a Royal Academician in 1989 and a Member of the Royal West of England Academy in 1992. Between 1958 and 1992, he taught on an occasional basis at Chelsea School of Art, and St Martins School of Art. His early works used oil-based paint but having discovered the exciting possibilities of acrylic in the early 1970s, he never looked back. 1930 Anthony Popham Law Whishaw is born on 22 May in St Mary’s, Paddington, in London. The family later moves to Brazil, where Whishaw’s father works. 1939 Returns from Brazil with his mother and attends Brunswick School in Sussex. The school is later evacuated to Cornwall during the Second World War. 1944–48 Attends Tonbridge School in Kent. 1948 Awarded Judd Scholarship from Tonbridge School. 1948–52 Studies at Chelsea School of Art, London. 1951 Makes his first visit to Spain, spending a fortnight in Ibiza. 1952–55 Studies at the Royal College of Art, London. 1954 Royal College of Art Drawing Prize. 1955–56 Receives an Abbey Minor Scholarship, an RCA Travelling Scholarship and a Spanish Government Scholarship, which he uses to travel to Spain with girlfriend and sculptor Jean Gibson. Here he visits the Prado and sees Goya’s ‘Black Paintings’ for the first time. He lives in Spain for some of the next two years. 1956 His first solo exhibition is held in Spain, at Madrid’s Librería Abril. 1957 Marries Jean Gibson and buys his studio-house in Kensington. 1960 Featured in the episode ‘Private View’ of BBC TV show Monitor, following four emerging artists. 1963 Whishaw’s first daughter, Phoebe, is born. 1965 Whishaw’s second daughter, Zoë, is born. 1973 Perth International Drawing Biennial Prize. 1973 Bayer International Painting Prize. South East Arts Association Painting Prize. 1977 Greater London Arts Association Grant. 1978 Arts Council of Great Britain Award. 1979 Elected to the London Group. His work is included in their exhibitions each year. 1981 Begins working in an Acme studio in Bethnal Green. 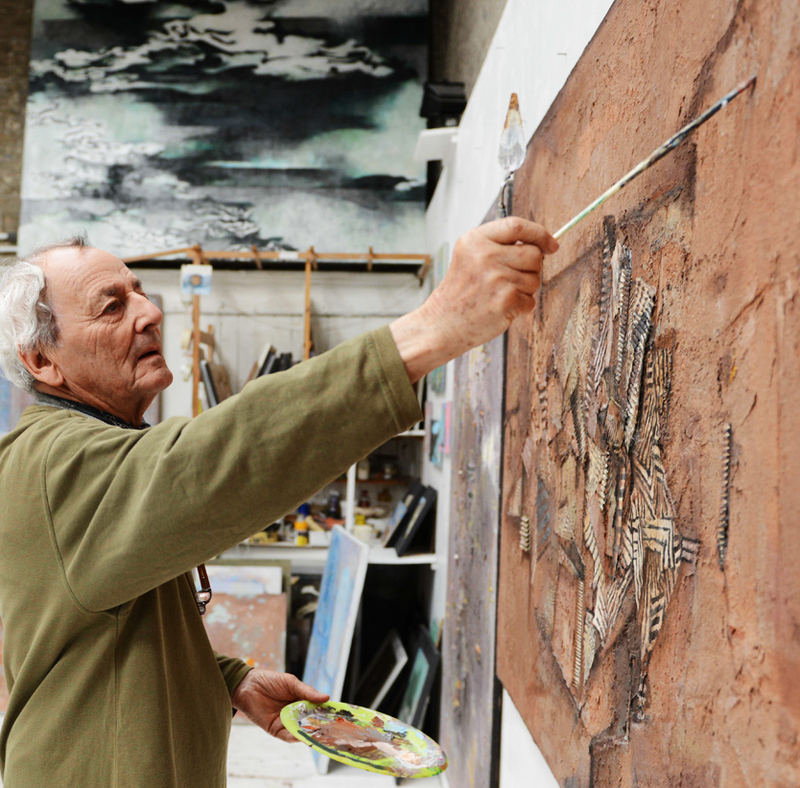 His routine involves driving to Bethnal Green and working there from 6 am until midday, before returning to Kensington, where he paints in the afternoon. 1981 Greater London Council Painting Prize. 1982 John Moores Minor Painting Prize. 1986 Joint winner Hunting Group National Art Competition. 1987–88 Major touring solo exhibition: ‘Reflections After Las Meninas’ at the Royal Academy Diploma Galleries, London, touring to Hatton Gallery, Newcastle; Mead Gallery, Warwick Arts Centre; John Hansard Gallery, Southampton; Space, Exeter. 1991 Whishaw’s wife, Jean Gibson, dies after a long illness. 1992 Elected to the Royal West of England Academy. 1994 Featured on Channel 4 News, in a story about his 1989 exhibition at Galerie in Faust. 1996 Korn Ferry Carre Oban International Picture of the Year. 1999 Featured Artist at Eigse Carlow Arts Festival. 2006 Interview with Brian Sewell on ‘Divine Art’, BBC Radio 4. 2010 A series of solo and group exhibitions are held to mark Whishaw’s 80th birthday, including at Kings Place Gallery; the Fine Art Society; and Acme Studios, Bethnal Green.